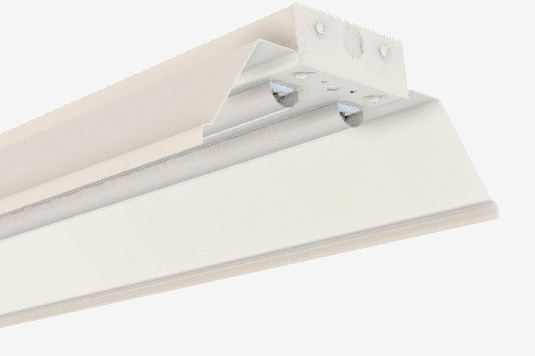 LED wide channel with double LED row with LED shielding lens. Designed for general purpose applications that require a dependable, efficient, long life LED light source, such as manufacturing areas and warehouses. Wide selection of LED lumen packages and color temperatures. Can be surface, chain, or pendant mounted as well as mounted in continuous rows. Solid reflectors help shield LEDs as well as direct light to the appropriate area.